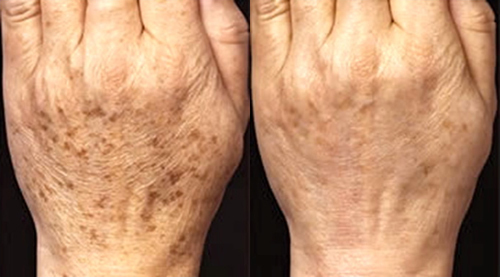 North Houston Laser Tattoo Removal also offers Laser Skin Aesthetic Services: Laser Rejuvenation, Age & Sun Spot Removal, Unwanted Pigment Removal. North Houston Laser tattoo removal use ones of the world’s most advanced skin treatment lasers, which is highly effective at not only removing tattoos and a wide range of skin discolorations but can also create more youthful appearing skin – with no needles, potions, lotions, or pills! For most people, as they age they start noticing wrinkles, and bags forming- especially on the face. While there are many options out there to try and counteract the signs of aging, we at Vanish think non-surgical laser treatments are an excellent choice.